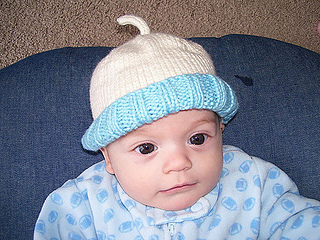 Dimensions: This hat measures 17.75 (19, 20.75, 22.5) inches around and 7 (8, 10, 11.5) inches from crown tip to brim. The final inch of stitches rolls up. 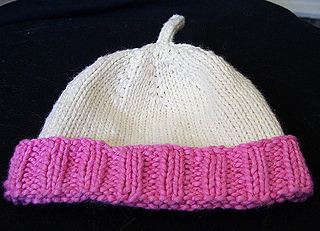 The hat will fit a baby, child, woman, or man, respectively.